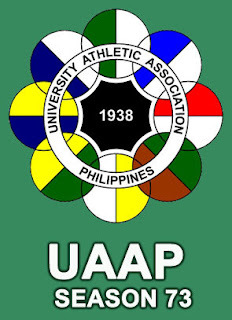 The University Athletic Association of the Philippines (UAAP) Season 73 will be hosted by my alma mater, De La Salle University, for School Year 2010-11. The games for the men's basketall and women's basketball will be aired via Studio 23 (ABS-CBN's UHF channel) for the 11th consecutive year now. The UAAP Season 73 opening ceremonies is scheduled on July 10, 2010 at the Araneta Coliseum.